Cody Seekins to be given a special feature at the Hive Gallery Autumn 2016. 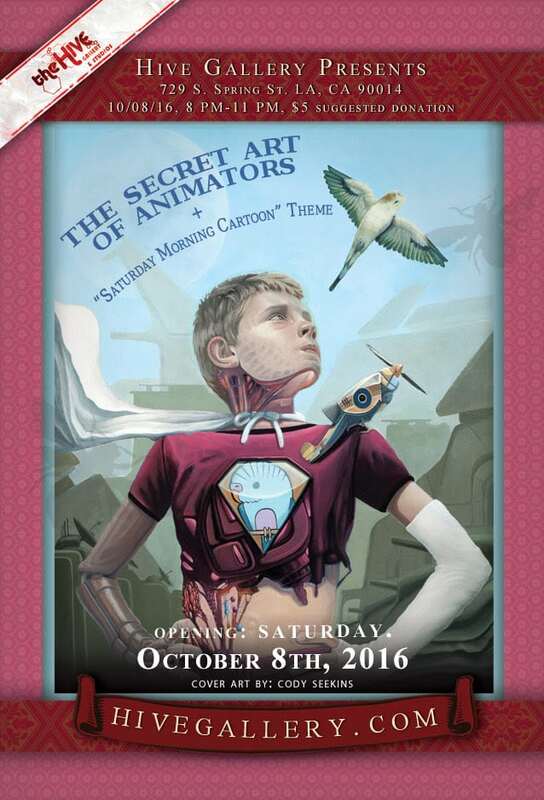 In addition there will be a group themed exhibit based on “Saturday Morning Cartoons”, and “The Secret Art of Animators” exhibit curated by artists/animators/directors Josephine Huang and Stephen Holman, of (W)Holesome Products films. The exhibit will run October 8th, 2016 from 8pm to 11pm.